A prominent Moffitt Cancer Center doctor is dead after his car slammed into the wreckage of an earlier collision. The wreck occurred near the intersection of Fowler and Gillette Avenues. The 70-year-old doctor was northbound on Gillette. He was unable to avoid the wreckage of an earlier intersection collision. His vehicle burst into flames upon impact. As the fire progressed, thick clouds of black smoke enveloped the scene. First responders finally brought the blaze under control by using copious amounts of firefighting foam. Two other people were seriously injured; their names were not released. Details regarding the above crash were largely unavailable. The first responders at the scene obviously had much bigger priorities than writing a report or talking to an accident witness. This same scenario is common in a number of serious injury Florida collisions. This lack of information is a serious obstacle for victim/plaintiffs in search of fair compensation for their injuries. These parties have the burden of proof in negligence cases. Although that burden of proof is low (a preponderance of the evidence, or “more likely than not”), there must still be compelling evidence. Furthermore, the jury’s damage award is often directly related to the strength of the victim/plaintiff’s evidence. Witness Statements: Many witnesses only see part of the crash, or only see events leading up to the crash. Testimony like this is valuable nevertheless, and an attorney needs every bit of evidence available to build a successful claim. Event Data Recorder: In the above case, the EDR from the doctor’s car is probably gone. But the EDRs from the other two vehicles probably still survive. This gadget usually contain important data, such as vehicle speed and steering angle. Video Evidence: Cameras are almost everywhere in the Tampa area. Surveillance cameras usually record high-definition images that are fairly easy for jurors to see and interpret, even if the camera was at a distance or an odd angle. Attorneys normally partner with private investigators to gather this evidence and then with accident reconstructionists to interpret this evidence. In court, these individuals usually qualify as expert witnesses, so they can share their evidence-based opinions with the jury. Economic Losses: The decedent’s estate may recover money for such expenses as estate-paid medical bills, lost future income, and lost “prospective net accumulations,” such as potential investments. Noneconomic Losses: The decedent’s survivors cannot recover for their own grief. But they can receive compensation for the decedent’s final pain and suffering, as well as loss of consortium (companionship, emotional guidance, and contribution to household affairs). Florida law also contains standards for additional items, like the statute of limitations and persons who are eligible to bring claims. 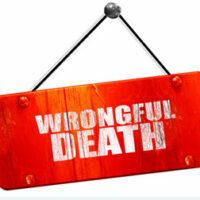 A wrongful death causes extreme emotional and financial hardship. For a free consultation with an experienced personal injury attorney in Tampa, contact The Matassini Law Firm, P.A. We routinely handle cases in Hillsborough County and nearby jurisdictions.